The asphalt plant was purchased to provide the hot-mix asphalt of the road project of the contractor in Sivas city Koyulhisar. 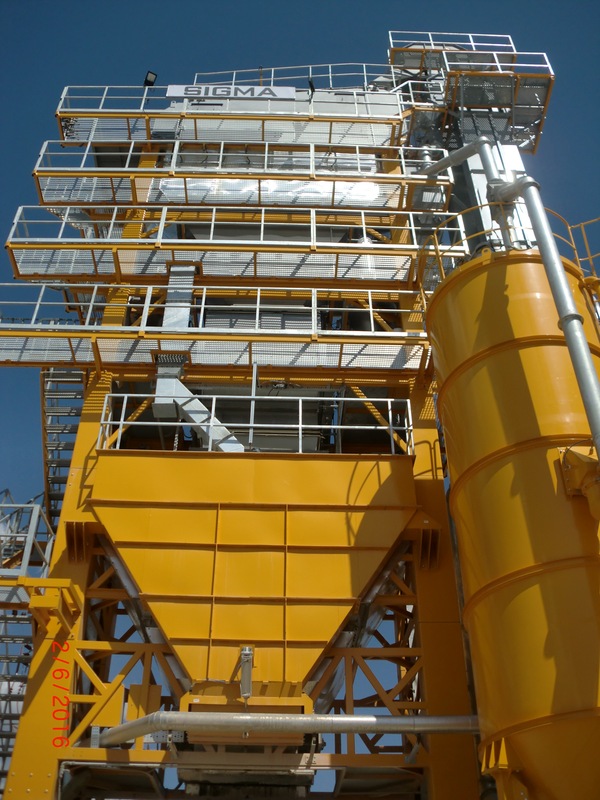 PRIMA SGM 240 model SIGMA plant has a capacity of 240 tons per hour and after completion of installation and testing jobs, the plant was started-up successfully in May, 2016. Bitumen is stored in three electrically heated 70 m3 capacity vertical bitumen tanks, one of which is equipped with an agitator for polymer modified bitumen storage. 40 tons hot-mix product storage and LNG monobloc type natural gas burner are other features of the plant.